Ice Cream has introduced a new flavor: Barocky Road. Barocky Road is a blend of half vanilla, half chocolate, and surrounded by nuts and flakes. The vanilla portion of the mix is not openly advertised, and usually denied as an ingredient. The nuts and flakes are all plentiful. The cost is $92.83 per scoop, so out of a hundred dollar bill you are at least promised some change! 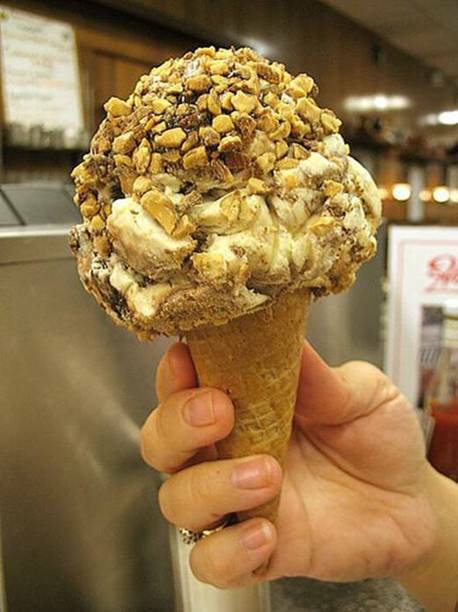 When purchased, it will be presented to you in a large, beautiful cone. But after you pay for it, the ice cream is taken out of the cone and given to the person in line behind you, at no charge. You are left with an almost empty wallet, staring at an empty cone, and wondering what just happened. Then you realize what “redistribution of wealth” is all about.